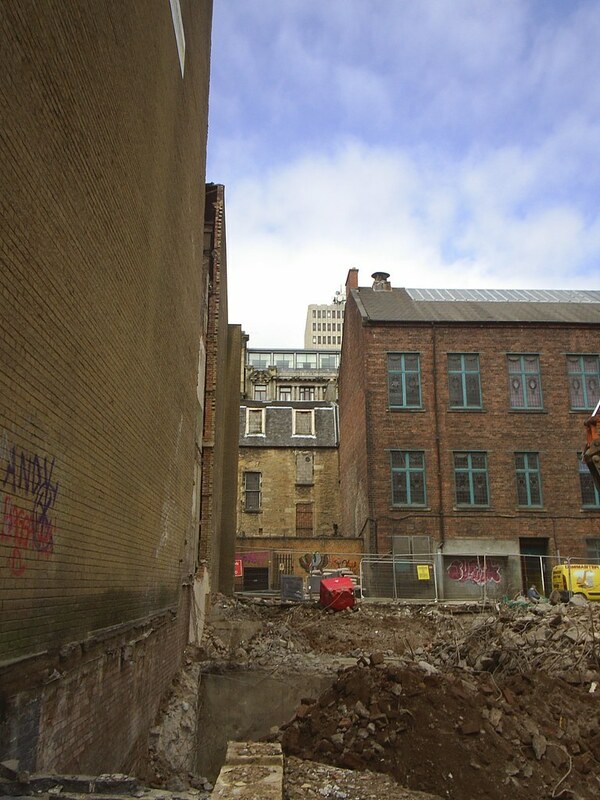 Quite often noticed that when something gets demolished, especially in the dense environs of the city centre, you get an interesting vista of stuff behind it, so I've started trying to document these views, since they may only be around for a short time. 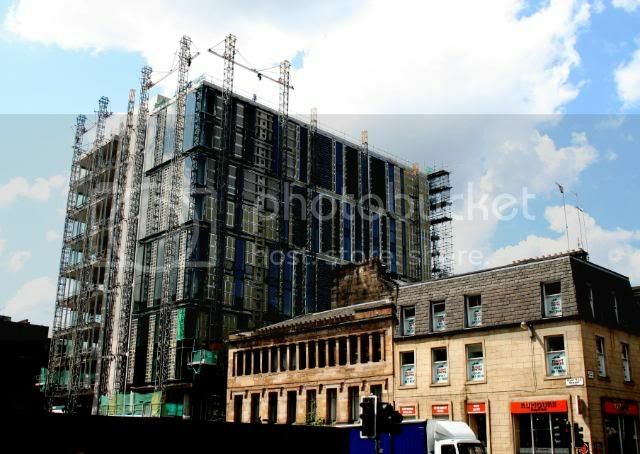 An older acquaintance of mine says he thinks it's an old hall that was entered from Bath St, rather than being attached to the wee Greek Thomson building it abuts on West Nile St (the City Barbers building). That seems to be borne out by aerial views on Live Earth, which also appear to show a partially glazed roof. 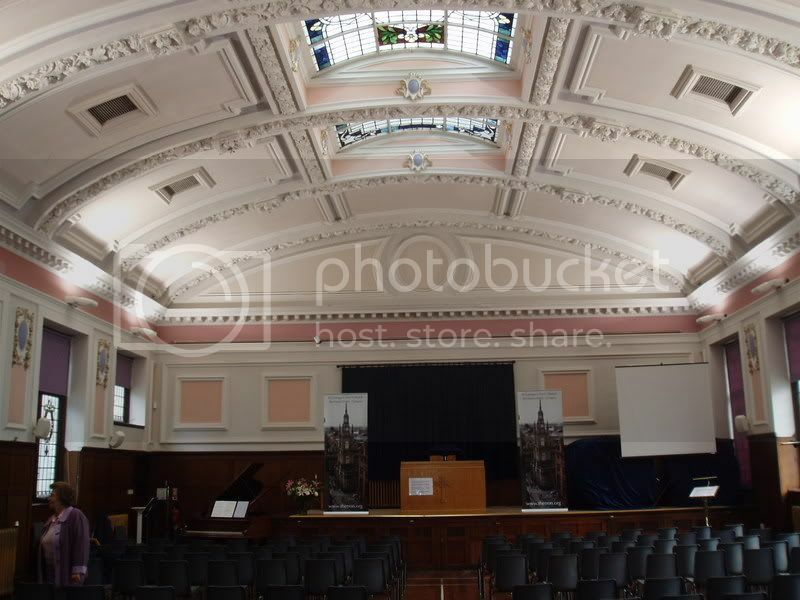 He remembers attending union meetings in it, and thinks it might have been called the Central Hall. 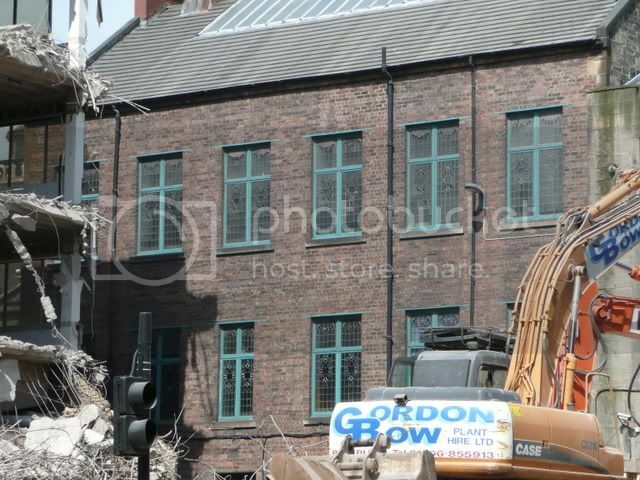 From what I can tell, the building currently houses the offices and is the hall of the St George's Tron church round the corner, and is listed as 25 Bath Street. Anyone been in, know what it looks like inside? Lovely leaded windows, can't help but wonder if the interior is similarly decorative. I think your pal is right. 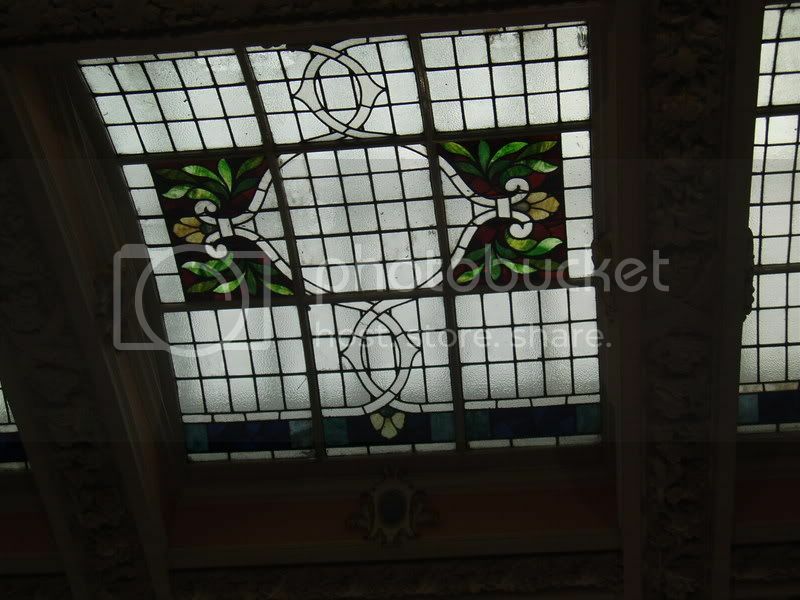 I reckon there's an etched glass panel (above the main door) readin Central Hall or Halls. gap74 wrote: From what I can tell, the building currently houses the offices and is the hall of the St George's Tron church round the corner, and is listed as 25 Bath Street. Anyone been in, know what it looks like inside? Lovely leaded windows, can't help but wonder if the interior is similarly decorative. I was in the place years ago when my judo class relocated from the old YMCA building on Bothwell Street but I was too young to be paying attention. St George's Tron services are being held there which the church is being renovated. I'm sure you'll get a warm welcome on a Sunday morning if you want a look at the place. onyirtodd wrote: St George's Tron services are being held there which the church is being renovated. I'm sure you'll get a warm welcome on a Sunday morning if you want a look at the place. He-he, whilst hardly a demon, I'm pretty sure that a five second appraisal would be enough to convince them that I'm a heathen of some sorts and should be cast into the street...! A couple of coppers on the plate and you'll be welcomed like the prodigal son. Demolition of parts of the former BBC Scotland premises at Queen Margaret Drive have revealed a gem from Mackintosh. I meant to add to Gap 74's post an age ago but....the snaps below were taken on Doors Open Day last year. The first shows - just - the view from inside, the second is a detail of the rather lovely ceiling. The Church members on duty for Doors Open were unfailingly polite and welcoming - as were their counterparts at the Garnethill Synagogue - even to a heathen like me. I look forward to the reopening of their church. What a lovely little hidden gem of an interior, and not even listed, as far as I can tell! They don't take long throwing them up do they. 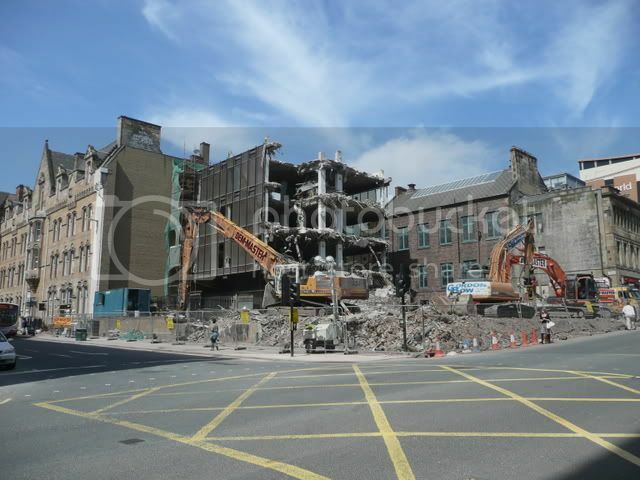 I drove past that point next to the old Odeon last monday and it didn't seem that imposing. There was some lane restriction but the height.........perhaps I'm wrong.